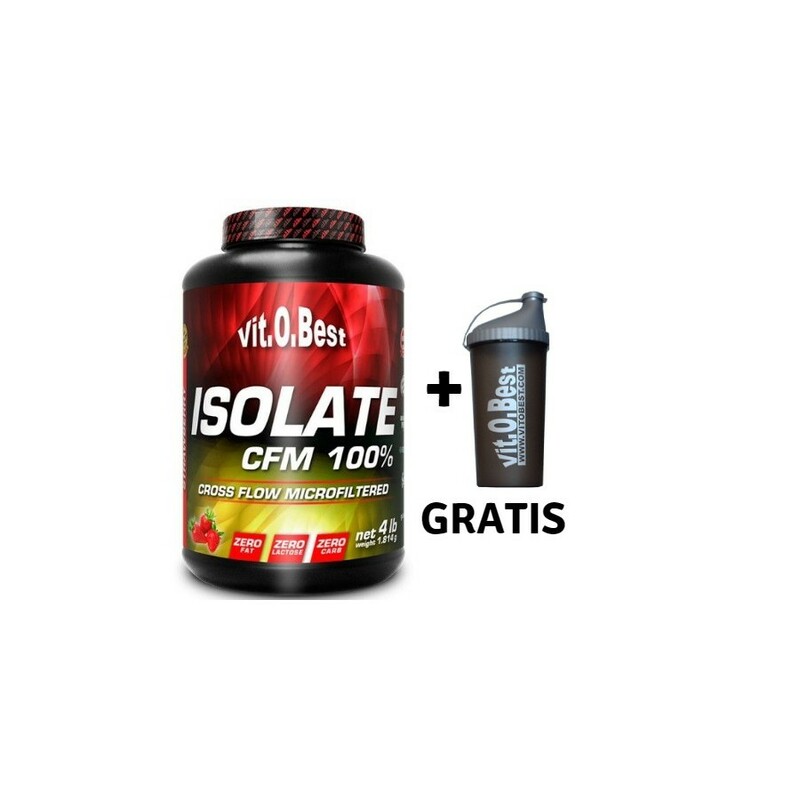 In Nutricion24 today we present Isolate CFM 100% - 4 LB Vit.O.Best laboratory, is a protein supplement that has the best protein isolated from whey existing, it has been enriched with L-glutamine to have an anti-catabolic effect. Isolate CFM Vit.O.Best 4lb of 100% is the best on the market because it combines key factors for effective muscle development. It dissolves easily and has a range of flavors that make can be taken with water or skim milk. Quickly enters the bloodstream and reaches the muscle, stimulating it to start the anabolic process. New flavors: chocolate, strawberry, lemon yogurt, vanilla. In its formula it contains CFM which is considered as the opinion of experts as the best isolated from serum of the world, as it is of high purity. The whey protein isolate is advanced with 90% protein and a very small proportion of fat and lactose. The whey protein isolate has high levels of essential and nonessential amino acids. In manufacturing we proceed to cross-flow microfiltration, it is a delicate protein to separate the fat, cholesterol and lactose process. 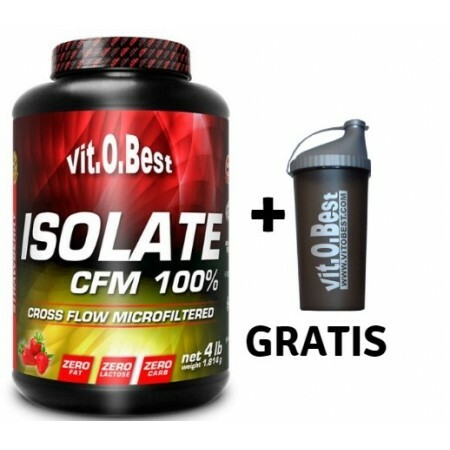 Isolate CFM formula has been reinforced with L-glutamine (Kyowa), it is fundamental for the repair of muscle tissue amino acid, and improves immune function and reduces overtraining syndrome. This brand Kyowa is a global leader in research, production and sales of amino company. Offering a wide range of amino acids and related compounds. It has become a trusted company in the field of health. Kyowa ingredients range are manufactured to strict quality assurance standards. It is a leader in sports nutrition, it has a broader scope in national and international markets. It offers high quality products manufactured with the best raw materials available in the market. These laboratories conduct strict quality controls, in compliance with ISO 9001 standards, both in handling is the raw material used, as in the packaging and labeling of products. Vit.O.Best has a wide range of products designed for all types of athletes. Whey protein isolate (CFM), L-glutamine, natural cocoa powder, chocolate-cookie flavor, sweetener: acesulfame K and sucralose, xanthan gum thickener. Mix 30 gr. in 300 ml of cold water or skimmed milk, taken once or twice daily, one after training because the body accepts better nutrient intake and also allows faster recovery and increased protein synthesis.